Buy this item and earn 27 points valued at £0.27. The Davidoff Nicaragua Experience The 100% Puro Nicaraguan blend combines a 10-year-old Habano Seed Nicaragua Rosado wrapper in a beautiful colour, with a binder from Jalapa and a filler blend of tobaccos from Esteli, Condega and Ometepe. 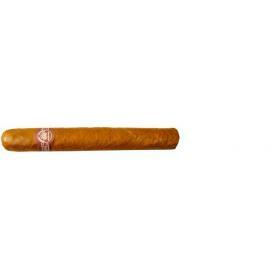 The range comes in three sizes: Toro (5 ½ inches; 54 RG); Robusto (5 inches; 50 RG) and Short Corona (3 ¾ inches; 46 RG). The new range was very well received by aficionados who had a chance to experience it. In a blind taste test conducted at the Art Of Smoke in Germany, Davidoff Nicaragua ranked as of the five best cigars ever tested across all tobacco origins and blends. "One of the best cigars I've ever smoked. The cigar would be a regular in my humidor," reveals a participant of the taste test carried out by Art of Smoke. The experience starts off with white peppery notes, joined by typical Nicaraguan stimulation at the back of the palate. 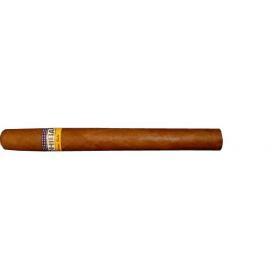 In the second third, the cigar starts changing, growing milder, alongside the appearance of an enjoyable sweetness. The aroma becomes milder, and flavours of roasted coffee beans and dark, bitter chocolate make themselves known. The cigar develops a creaminess at the end of the second third. During the last third, the cigar keeps building on the second third, delivering growing excitement and balance, thus becoming the kind of experience that only Davidoff can create. Time filled beautifully.